desserts. Pound cake, for example. 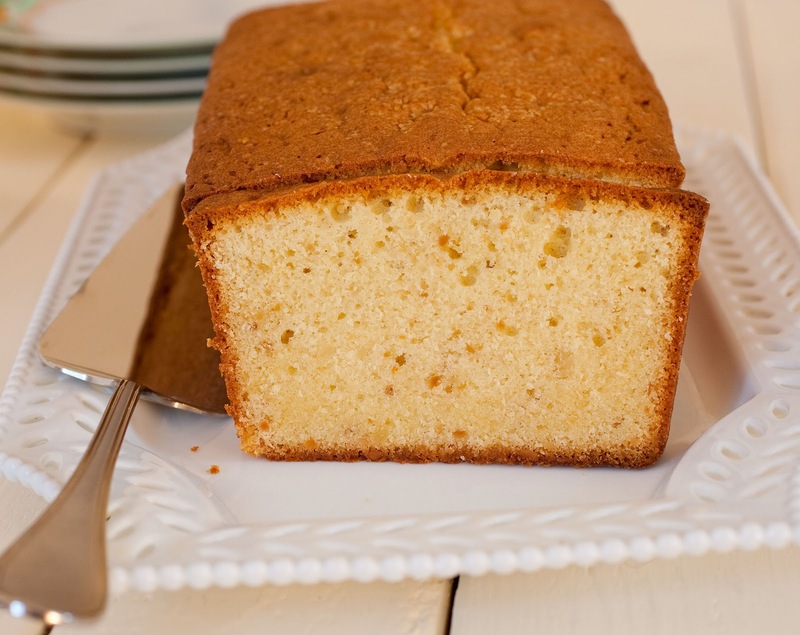 Rich, moist and delicious, pound cake is refreshingly uncomplicated. It doesn’t require frosting, and icing is optional. 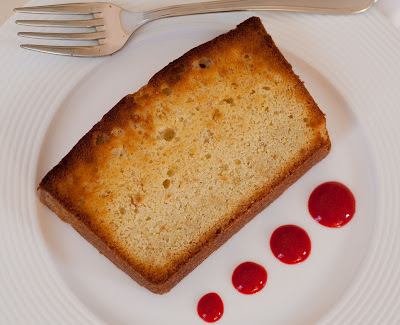 If you want to gussy it up, just serve it with ice cream or whipped cream and fresh berries or a berry coulis. It’s an ideal pick-me-up for mid-afternoon, along with a cup of tea or coffee, or toasted as a mid-morning treat (after a bad meeting, for example). 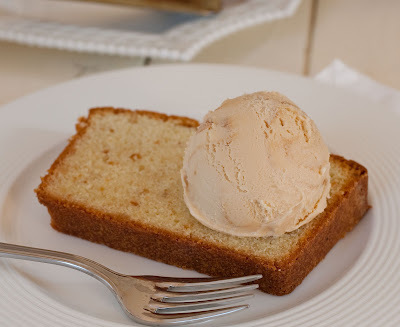 Here’s one of my favorite pound cakes, a toasted almond loaf made with almond paste and ground almonds. The recipe is from The Cake Book. Storage: in an airtight container at room temperature for up to a week or refrigerated for up to 2 weeks. 2. In a medium bowl, sift together the flour, baking powder, and salt. Whisk to combine. 3. Combine the almonds and 1/4 cup of the sugar in the bowl of a food processor and process until the almonds are just finely ground (don’t overprocess, or the nuts will become oily). Stir the ground almonds into the flour mixture and set aside. 4. In the bowl of an electric mixer, using the paddle attachment, beat the butter and almond paste at medium speed until very creamy, about 2 minutes. Gradually add the remaining 3/4 cup sugar and beat the mixture at high speed until very light, about 4 minutes. Reduce the speed to medium and add the eggs one at a time, beating well after each addition and scraping down the sides of the bowl occasionally. Beat in the vanilla and almond extract. Add the flour mixture at low speed in three additions, alternating it with the heavy cream in two additions. Mix just until the flour is incorporated. Scrape the batter into the prepared pan and smooth the top. 5. Place the cake in the oven on top of the stacked baking sheets. 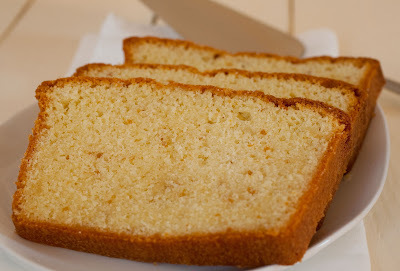 Bake for 70 to 85 minutes, until a cake tester inserted in the center of the cake comes out clean. Place the cake pan on a wire rack and cool for 20 minutes. 6. Unmold the cake and cool completely, right side up. Dust the top of the cake with confectioners’ sugar before serving.